Because of anemia, water gain, gout or a recent dialysis treatment can leave you drained, you may find it difficult to keep your balance or walk. Also many dialysis patients have surgeries periodically and use their handicap stickers during their period of recovery. The fact that dialysis patients often do not appear handicapped it makes the use of a handicap parking space difficult. While you may know that there are not people standing around judging whether you are truly eligible to have a handicap sticker, you may feel self conscious about being able to walk at all and still have access to a handicap parking space. But don't feel guilty! This concern about "others judging you" is real. Generally people do not violate the handicap parking space privilege and they do not like others to violate it either. If you do not appear to warrant the privilege, even if you have the sticker, you will experience glares and stares and can imagine what the glarer is thinking about you such as, "Why does s/he get to use a handicap sticker?" The handicap parking space symbol is well recognized, however not all handicapped people, such as dialysis patients are wheel chair bound. Some people with dialysis appear quite healthy, even though many have difficulty walking rather short distances. If you have difficulty walking or standing, one way to assist in completing your errands is obtaining a handicap parking placard. It allows you to park close to the place where you are conducting business and can help you minimize problems with fatigue and balance. If you are interested in obtaining a handicap placard the information you need, along with the application, are available online from the Department of Motor Vehicles in your state. Details may vary from state to state. You may request a temporary placard (used for injuries or illnesses which are expected to heal) or a permanent one (used for permanent disabilities). A physician’s signature is required. You will be allowed to choose a license plate or a placard that hangs from your rear view mirror. The placard is more versatile and you can carry it with you and use it in any vehicle. It is legal throughout the country. Chronic Kidney Disease (CKD) can cause all kinds of emotional turmoil. It is hard for others to understand what they cannot see, and equally difficult for you to constantly justify yourself to other people. The handicapped parking placard, should be used as needed. Many have peace of mind when using their placard because they keep it in their glove compartment and only use it as is necessary. That is why you do not have to feel guilty. 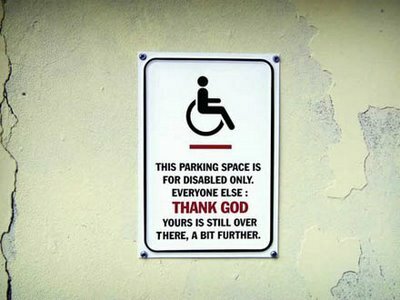 Reference: "Handicapped Parking: A Guilt-Free Zone." Care2.